04.08.2012, Lavanttal Arena, Wolfsberg, AUT, 1. 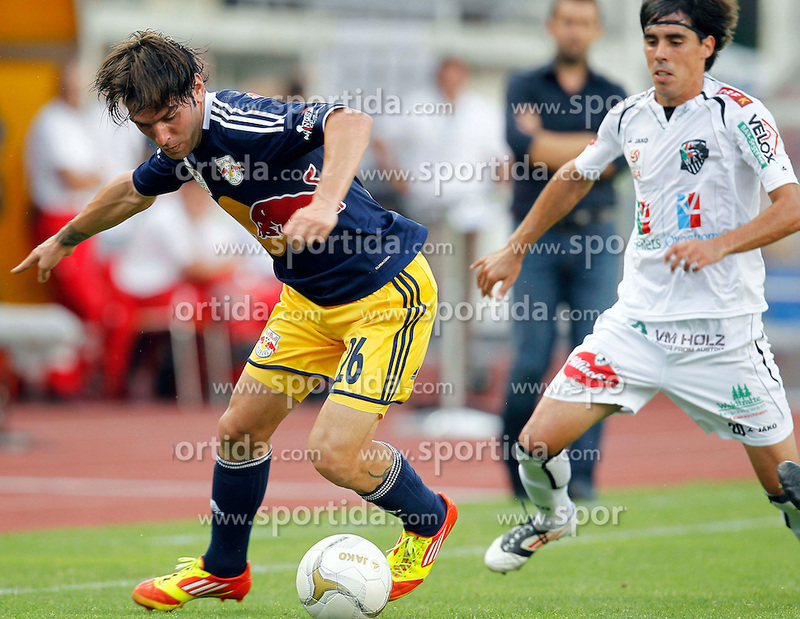 FBL, RZ Pellets WAC vs FC Red Bull Salzburg, 3. Runde, im Bild Jonathan Soriano (RBS,#26) und David De Paula Gallardo (WAC,#20) // during Austrian Football Bundesliga Match, third round, between RZ Pellets WAC vs FC Red Bull Salzburg at the Lavanttal Arena, Wolfsberg, Austria on 2012/08/04. EXPA Pictures © 2012, PhotoCredit: EXPA/ Oskar Hoeher.